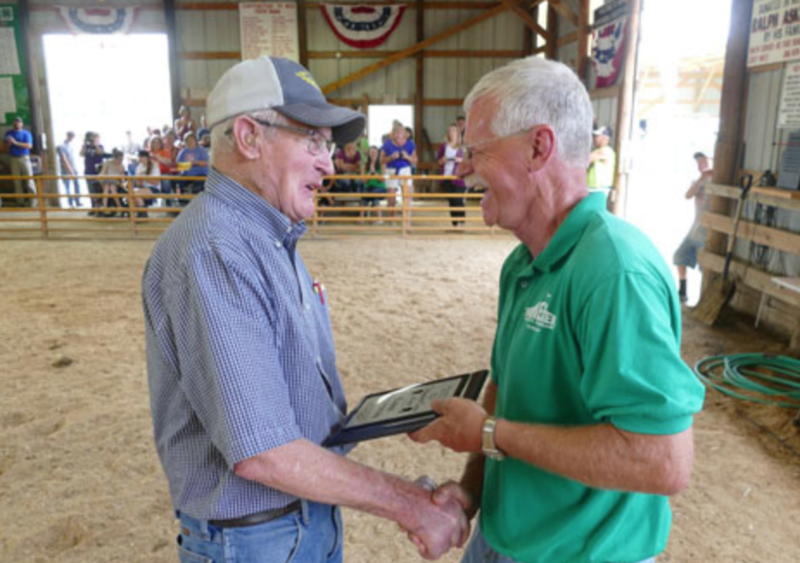 The Winneshiek County Agricultural Association Distinguished Service Award recognizes people who have given a lifetime of service to the fair and 4-H community. 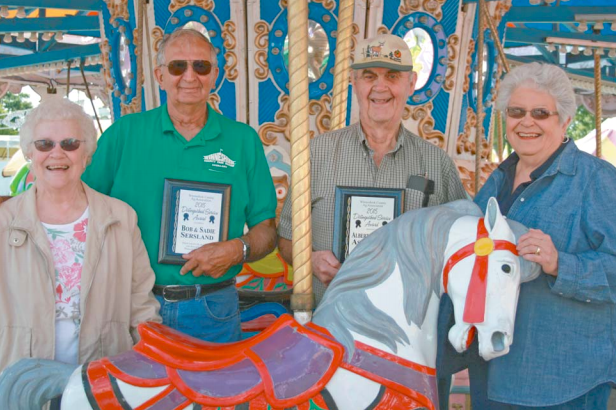 The fair is made up of volunteers, some we see everyday and some we never see at all, but they are all important in making the Winneshiek County Fair “Thje biggest little fair in Iowa”. Eric and Jan Nordschow This couple are not originally from here. In fact, they aren’t even from Iowa and they didn’t grow up in a rural area or on a farm. They both attend the same small high school (3500 enrollment in 3 grades) and he was an Eagle Scout. 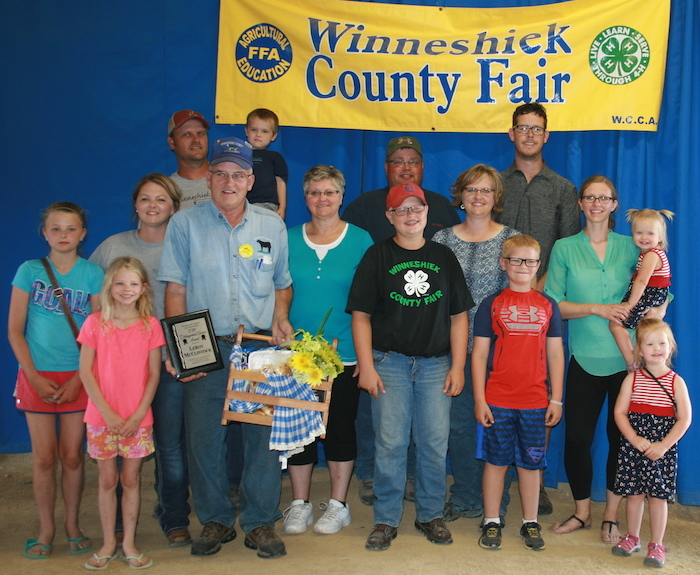 So how did they wind up here and involved with a rural exposition like the Winneshiek County Fair? Well, early in the “70’s” (1970) his dad bought a farm near Decorah. They spent their college summers up at the farm and after getting married and graduating college, they made it their home. They began crop farming and after 5 years began raising purebred Simmental cattle. That operation continues today even though he runs a full time business. 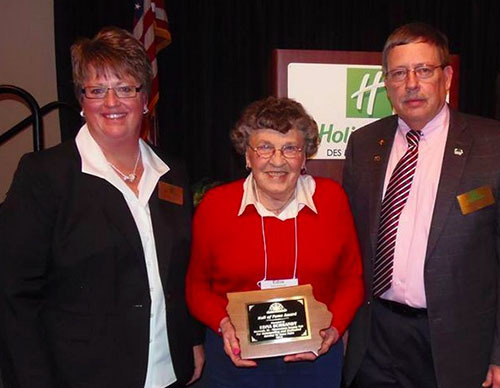 They have done a great job raising cattle – twice being featured in the Decorah Journal Beef Producer Edition and receiving the Outstanding Young Cattleman’s award. 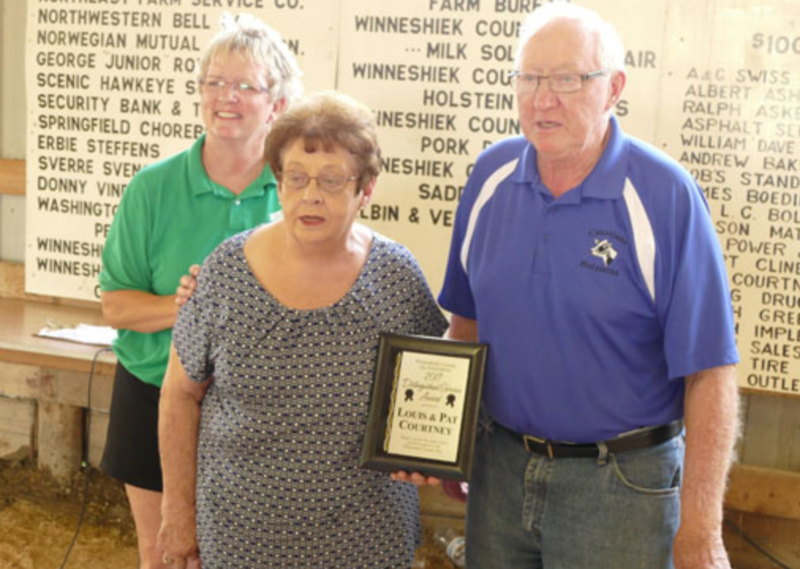 They both have been very active in the Winneshiek County Cattlemen for 30 years. 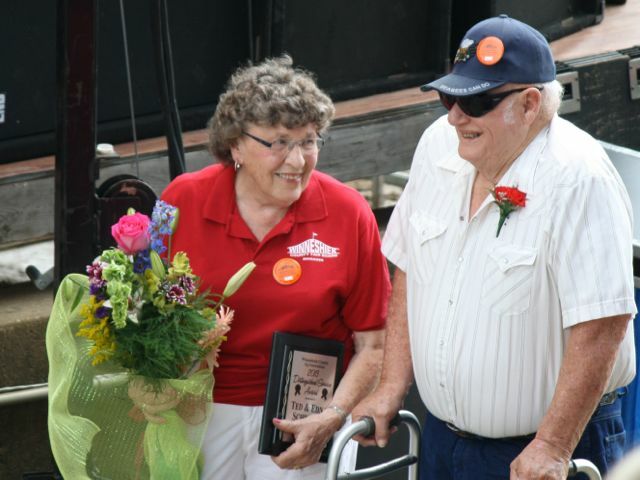 He was instrumental in getting the Cattlemen’s Beef Quarters built and now you can see him there before, after the fair, and every day in between. I’m here every day of the fair and I see him setting up in the morning – grilling steak (knows how to grill the best) and burgers all day and cleaning up at night and he looks like he enjoys it. If you have not had food at the Beef Quarters next door – you are missing out—where can you get better beef than from a Cattlemen’s restaurant. 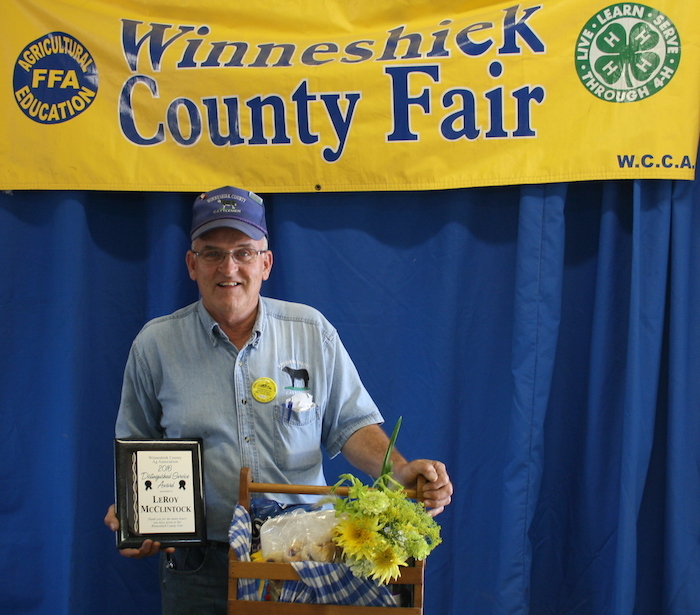 Not only does his wife work there, but she served on the Winneshiek Co. Fair Board for 6 years and is currently active on the fair auxiliary board excited about selling buttons. If you don’t think we are busy during the fair, I have a green shirt that might fit you so you can check it out. Their business also donates equipment for us to use during the fair. They also will be seen at seen at various 4H and FFA activities throughout the year. They remain strong supporters of the Fair Box Social and also the 4H and FFA auction. Not only are they working at the fair, they are very active in the NE Iowa Food and Fitness Initiative and NEI Food and Farm coalition along with many other organizations. Kristi started helping with the textile booth in the late 70’s when her husband’s aunt Agnes Forde needed help. In the 80’s, Kristi took over the textile department at the fair and has been doing it ever since. 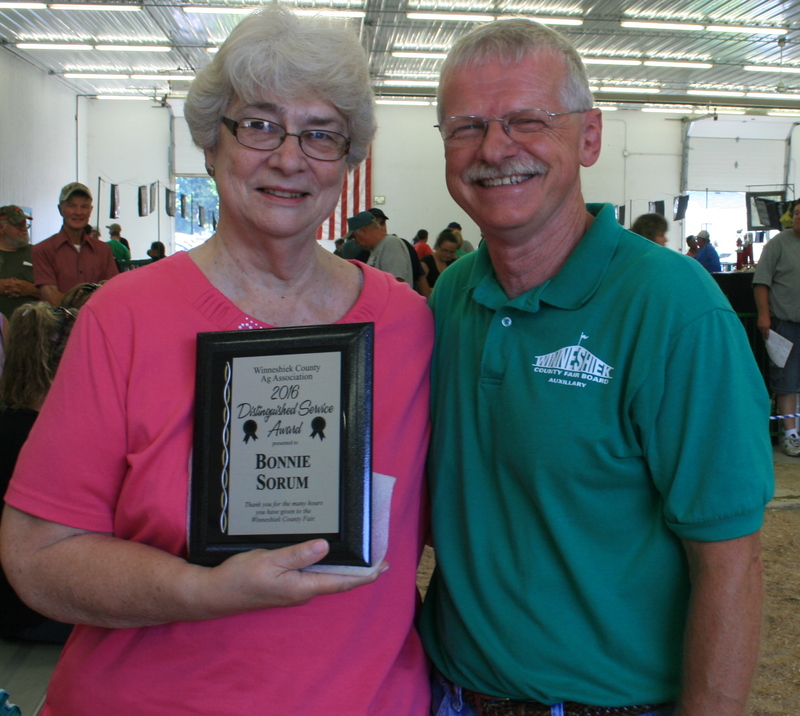 So for 40 years she has assisted and now coordinates the open textile booth at the Winneshiek County Fair. Kristi has served as the 4-H leader for the Glenwood 4-H’s Club (formerly known as Glenwood Future Homemakers 4-H Club for 32 years. She became a leader when her daughter Michelle became involved in 4-H.
She volunteered at her church in teaching Sunday school, being the treasurer of the GLCW, and helped her circle coordinate baking of kringla for the Nordic Fest booth. In her spare time, she likes to garden, go to the races and attend any school event for her grandchildren. 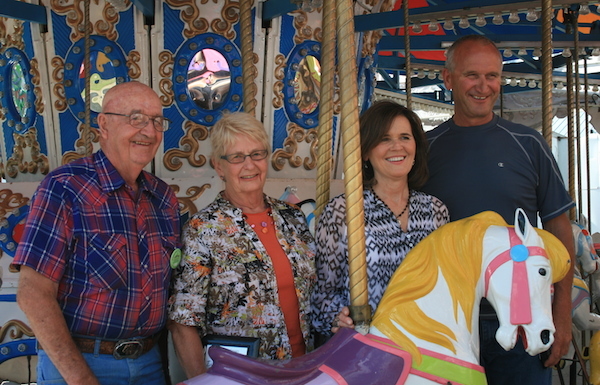 Kristi and husband Mark have been married for 44 years. They have one daughter Michelle, who is married to Ryan Einck. They have three children, Keagen, Karter and Karlie. This year we started a long overdue recognition of some of the sponsors and have called it “Friends of the Fair." It will go to a business that has supported us in some way for a number of years. Our winner for 2018 is Frana Beer or United Beverage – Craig Frana has contributed graciously every fair since we first started having sponsors. They sponsored our very first rodeo. They have also printed many banners and posters for us. They provide us with product for the fair and if we ever run short even on a Saturday night or Sunday, they are quick to provide us more. They have always been wonderful to work with. The business has changed names and merged over the years, but they still keep that wonderful attitude. If you see them around the fair tell them THANK YOU! 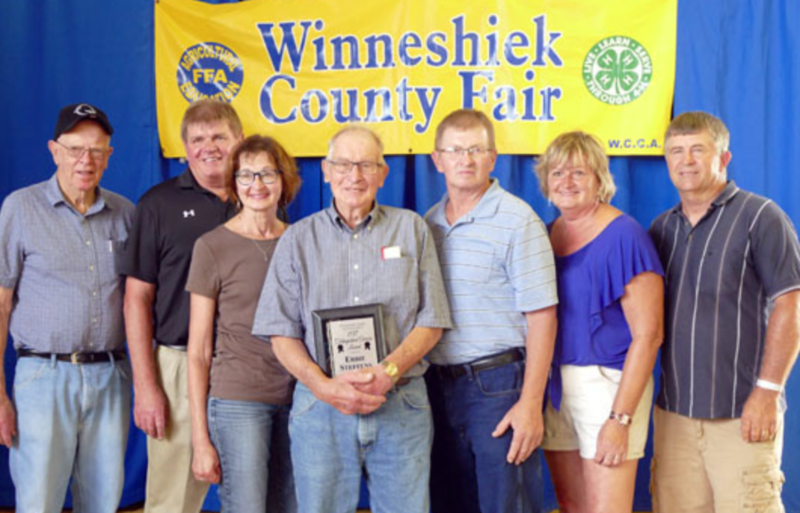 Bonnie Sorum and LeRoy McClintock were honored by the Winneshiek County Fair Board in 2016.